What’s happening in New Westminster politics has been a great portion of this site’s history. We’ve written all sorts of think pieces, op-eds, event previews and recaps, profiles, and have also hosted all-candidates events. Our comments section has always made for lively discussion, as well. In the past, we’ve often endorsed certain candidates. We’ve made the editorial decision that from now on, Tenth to the Fraser will not endorse any particular candidate for any election. 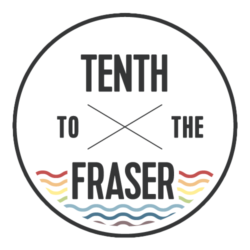 True, our editor’s political leanings are not exactly secret, but we just don’t think Tenth to the Fraser, as a business and a team of a few people, needs to make a proclamation about who we think is the right leader. We do commit to write about what we think is much more important: providing information about how, when, and why to vote, and providing a platform for all candidates to give answers to questions, purchase advertising (so long as they meet our guidelines about suitable advertisements), and have an opportunity to submit pieces about the issues their position might have to cover. There’s a school trustee by-election coming up to replace Mary-Ann Mortensen who resigned in March this year, and that means you are voting for a single person to replace her. 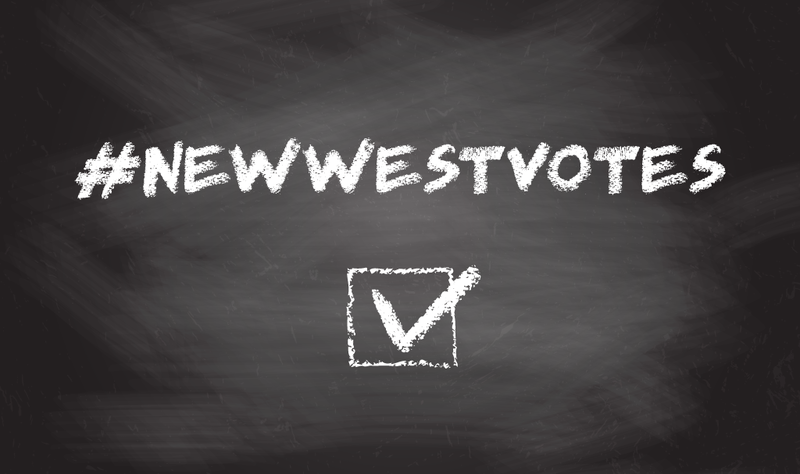 Just because it’s only one person doesn’t make it any less important for New West to vote, in fact, it’s almost more important that you do put in the effort. And regardless of whether you have children, trustees work collaboratively to develop policies and lead and represent New Westminster Schools, and ultimately, they work to raise awesome future New Westers who might one day be your neighbour, your employee, or your caregiver. For a bit more info about what trustees do and why you should care no matter that, check out this article from back in 2011. The election takes place on June 11. if you can’t make that, then there is also two opportunities for advanced voting: June 1 at City Hall, and again on June 4 at Glenbrook Middle School. All of the date and places are available on the City’s website and all voting opportunities are from 8am to 8pm. Voting time is coming near again! The B.C. provincial election will be held on May 14, 2013. Amid rainshowers and spring flowers, I’m starting to see orange election signs sprouting in my neighbourhood, with shades of red, blue, green (and more) soon to follow I’m sure. Yes, it’s election time again in B.C. and New Westminster candidates will soon be stepping up their door-knocking, robocalling and energetic presence at local events. On Tenth to the Fraser, we always try to do our part to help New West folk get to know the candidates and issues around election time, and while we probably have to scale back our efforts this year due to personal scheduling conflicts involving a certain sure-to-be demanding newborn, there will be some voter goodness coming your way. All New Westminster residents are invited to gather at SappertonPark (at the corner of East Columbia Street and Sherbrooke Street) at 5:30 on Saturday evening. The four candidates will be introduced, and the group will walk along Columbia Street and the Central Valley Greenway to Downtown New Westminster and the River Market (a distance of about 3.5 km, so about an hour walking at a leisurely pace). Along the way, each of the candidates will be given an opportunity for their 5 minutes “on the soapbox” to address the crowd, but the emphasis will be on face-to-face and small group conversations during the walk. Participants will be encouraged to chat with the candidates and ask their own questions. There will also be a few surprises along the way to encourage a meaningful dialogue! At the end of the walk, participants and candidates will be encouraged, as is the NEXT New West tradition, to gather at a local pub and continue the conversation. James Crosty has only just announced he’s running as an independent candidate, but hopefully he will also be able to find time in his campaign schedule to join us on the walk. Jane’s Walks are a global event celebrating the legacy of celebrated urban thinker and pedestrian advocate Jane Jacobs, held on the first weekend in May to coincide with Jane’s birthday. 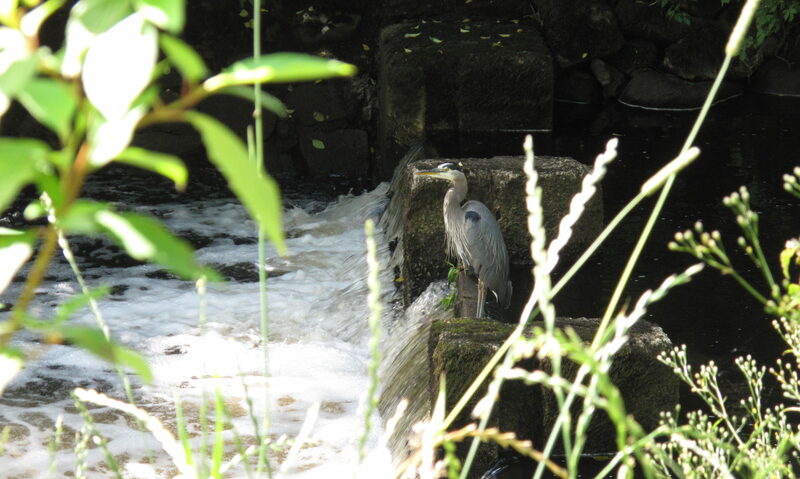 The walks are free tours, guided by knowledgeable locals to highlight interesting places and neighbourhoods. This is the first year that New Westminster has participated in the event, but there are already ten walks organized for that weekend, and possibly even more to come! Wayne Wright was re-elected with 62% of the vote in New Westminster. Preliminary New Westminster election results are in, and the results are not entirely unexpected. As in the 2008 election, there is only one new face on City Council, but unlike last time, voters did opt for change on school board. And despite an energetic campaign by challenger James Crosty, incumbent mayor Wayne Wright won by a landslide. Crosty used a variety of means to get attention, including launching a campaign to brand himself as a ‘citizen advocate’ months before declaring his candidacy, Tweeting frequently, hosting ‘citizen chats’ with interested voters and leveraging his position as the president of the Quayside Community Board, one of the city’s most effective residents’ associations, to improve name recognition and rally his base of supporters. Crosty hoped to tap into dissatisfaction with the status quo on issues such as train noise, municipal taxation and spending, and big-ticket projects like the new Pier Park (dubbed ‘Wayne’s Wharf’ by the Crosty campaign). But Crosty was also dogged by a series of gaffes, including accusations of plagiarism after lifting the answer to a candidates questionnaire from Wikipedia, lack of attendance at all-candidates’ events and Tweeting caustic responses to critical questions from voters. In the end, while some voters were receptive to the idea of change, they were not convinced that Crosty was the person to lead New Westminster in a new direction. With about 60% share of vote vs. Crosty’s 30%, Wright’s win is a clear indication that a solid majority of voters believe New Westminster is on the right path. Most people I spoke to thought the city could do better in one way or another, but believed our town is far better off today than it was nine years ago, and they can see things getting even better once major downtown developments stickhandled by Wright are completed, including the new multi-use Civic Centre, the Plaza 88 development and the Pier Park. On council, former councillor and NDP MLA Chuck Puchmayr easily won a seat, edging out incumbent Bob Osterman. Jaimie McEvoy, who just barely won his seat in 2008 came in with a much stronger showing with the third largest number of votes. Jonathan Cote also came out a winner, claiming the top spot with 6,481 votes. Cote ran his campaign the way he managed his previous years on council, with dedication, good humour and dogged persistence. The Cote campaign knocked on 3,100 doors during the campaign and participated in six 6:30am ‘Burmashave’ rallies to drum up support. All other incumbents won their seats, including Bill Harper, Betty McIntosh and Lorrie Williams. The school board race turned out to be the most interesting. There were two vacant seats on the board, and most people expected District Labour Council-endorsed candidates Jonina Campbell and David Phelan to win those spots, but what I didn’t expect was that Campbell and Phelan turned out to be the most popular trustee candidates. It is a credit both to the quality of the candidates and to their campaigns, as it is notoriously difficult to break through as a new trustee. Another fresh face squeaked in too, Voice’s MaryAnn Mortensen. Incumbent trustee and fellow Voice colleague Jim Goring lost his spot. Incumbents round out the new school board: Voice’s Lisa Graham and Casey Cook and DLC-endorsed Michael Ewen and James Janzen. So there you have it: a more progressive council and school board, and a clear endorsement of Mayor Wayne Wright’s vision and leadership for New West – at least for the next three years. Public endorsements of candidates are not uncontroversial. Pat Tracy, editor at the Record, has publicly come out against them, and those who do share their endorsements open themselves to criticism for their choices. Those of us on the ‘editorial board’ of Tenth to the Fraser, who do the daily work of writing for the site, soliciting & editing guest posts, approving comments and interacting with readers and Facebook and Twitter, debated whether or not to share our picks for this election, but in the end we decided we must. Our rationale is simple: we are uniquely positioned through the work we have done on this blog to get to know more about the candidates than many other voters are able to do. We have met almost all face-to-face, and in many cases have had extended conversations with them about the issues that matter to us. Because we have been blogging and tweeting about the election, we have come to know the candidates and issues far better than we would have as spectators. We don’t believe that our opinions are “special” and we don’t expect anyone to go out and vote for people just because we tell them to. In fact, we don’t want to tell you how to vote. We want to tell you why we are voting the way we do. We hope that by sharing our opinions it will help others in the city to solidify their choices for mayor, council and trustees. We also hope that others in the city will respond by sharing who they are voting for and why in the comments – particularly those who are better informed than we are. New West politics are complex and even after three years of paying much closer attention, I know I don’t know everything that’s going on in this town. By opening the door to dialogue, we hope to better understand the point of view of those on the other side of the political divide. Below, you’ll find our picks for the New Westminster municipal election 2011. We’ve organized it by position (Mayor, Council, and Trustee). We will begin by highlighting the candidates that the three of us most agree on. We’ll also share a few ‘honourable mentions’ who stood out. . The editorial team of Tenth to the Fraser consists of Briana Tomkinson, Will Tomkinson, and Jen Arbo, but we’ve spent a lot of time this past few weeks talking politics with family, friends, and fellow citizens, so the list below has been influenced by the insights gleaned in conversations in real life and online, as well as information we’ve seen in local media. As I mentioned above, if you’d like to share your endorsements, please feel free to do so in the comments. We do ask that you emphasize who you are voting for rather than trashing candidates you don’t support. These are our personal endorsements, based on our individual ideals, one-on-one conversations with candidates, reading through the questionnaires we distributed to candidates on issues that matter to you, our readers, and what we have seen of these candidates in the years leading up to this election. They do not reflect the views of our businesses, employers, or other organizations we are affiliated with in our fair city, and are our personal opinions only. We’d love your comments on our endorsements, but as is our policy, no personal attacks. We encourage positive discourse and cheerleading for your preferred candidates rather than reprimanding. Whatever you do on November 19th and whichever way you swing politically, the most important thing is that you need to get out and vote. In New Westminster, we vote for one mayor, six councillors, and seven trustees. Vote for the ones you support. Do not feel obligated to vote for a full slate if there is not a full slate of candidates you support. Just get out there and do it and tell everyone you know to do it, too. Why? He’s proactive, experienced and we agree that New West is a better place after nine years of his leadership. Of the four mayoral candidates, we believe Wayne Wright is the best choice to lead our city for the next three years. Last round of municipal elections I had a four month old baby and while we made it to the polls, I remember vaguely choosing a mayoral candidate, and a few councillors I knew and liked, and that’s it. I didn’t select any school trustees because in my mind, there was no point. My child was a mere four months old and I didn’t think that a school trustee would have an impact on me. At least not until he made it to school, right? And even then we were considering homeschooling and private school and I felt like if my kid wasn’t in public school then it wasn’t going to matter. This election I have a remarkably different opinion. I now firmly believe that the position of school trustee is every bit as important as councillors – perhaps even more important – regardless of whether you have children. Trustees engage their communities in building and maintaining a school system that reflects local priorities, values and expectations. School trustees listen to their communities; guide the work of their school district; and set plans, policies and the annual budget. Reflecting the strength of local representation, boards report back to their communities on how students are doing: boards are directly accountable to the people they serve. Essentially, trustees determine how, who, and at what price the assets (schools and other school district owned buildings) are used as well as in depth policies for how everyone must behave while doing so. And while most of us automatically think this refers only to the children in the community who attend public school, it actually represents a glut of other groups: sports groups (both adult and children), service groups, clubs like Girl Guides or Cub Scouts, the proprietors of craft or plant sales, as well as other groups who may rent the facilities for events. But why does this matter to everyone, even those who don’t have kids in the system or even have kids at all? It’s simple: if you have healthy and happy kids in your community, your community is better for it. Let’s not forget that the assets and policies the trustees govern are paid for in part by your tax dollars. Don’t you want them to do a good job with your investment? And finally, there is a giant body of science based knowledge out there that shows children thrive most when they are given all the right building blocks, and some of those blocks don’t come from their immediate families. (Just Google “healthy kids research” – over 49 million hits). Teachers, neighbours, community role models, and the community at large all have an impact on the children in our community. The New Westminster Children’s Charter, endorsed by both the City of New Westminster and the School District, sets out what kids need to thrive. In short, if you’re on the fence about why you should be voting for a school trustee, I urge you to consider that these are the people that will help further the growth of children in our community who are going to grow up and hopefully stay in our community and become us – voters, taxpayers, and hopefully deeply engaged citizens. I’d prefer kids who want to contribute and who care about what happens, don’t you? Jonina Campbell: Education matters to everyone. How we educate and raise youth affects all society. Furthermore, there are issues relating to schools that affect local neighbourhoods such as traffic planning, playground space, and space for community use. Already our schools are open for recreation and the arts (ie. Massey Theatre). I’d like to explore ways we can continue to expand the use of our schools. For example, because New Westminster has limited space available to build new recreation facilities, our schools could be used for recreational opportunities on the weekends. This might include something like a yoga class or open gym for children. Casey Cook: Everyone should care about education and School Board issues. A healthy school system is a great contributor to a healthy community. Furthermore, today’s children are tomorrow’s leaders. They are tomorrow’s decision makers. On a practical level, residents are taxpayers and should have a level of interest as to how effectively their taxes are being spent. Michael Ewen: Beyond the democratic and economic argument about a well educated work force being more able to contribute to the development and hopefully evolution of our economy, residents should care that our schools are more fully utilized for the community. Due to budgetary constraints we are looking at a new policy that will see us charging our community user groups. We should be continuing the practice of keeping these facilities open and available to our community, at little or no cost. Jim Goring: Public Education has an impact on the quality of life in our community in ways that benefit all, creating good citizens, supporting democracy, providing employees some who become employers. Lisa Graham: On average, children are ‘in the public education system’ for a relatively short 13 years but are ‘in the community’ for their lifetime. This is particularly true in the Royal City — in fact, some families have called New Westminster ‘home’ for multiple generations! Unfortunately, too many residents do not realize that they are already vested stakeholders in school board issues because it is their tax dollars that fund the public education system. Schools are a microcosm of the larger society; as such, it is important to hear from yet-to-be engaged constituent groups, not only because they have a right to be heard, but because their contribution/input on school board matters can help shape outcomes that will impact the larger community. Active collaboration amongst all stakeholders can create a better community for all of us. The best consultation outcomes are the ones that sort through the most input; it’s in everybody’s best interest to participate in public matters. James Janzen: Because we are all going to be relying on these kids to be the citizens of the future. Brenda McEachern-Keen: Empowered students = empowered citizens. The social skills students learn as children will be the social skills they take into adulthood. The values our schools instill will be the values they live. MaryAnn Mortensen: A healthy school community is vital to the community as a whole. We have roughly 6,000 students in New Westminster and we know that while some residents are transient, most stay and raise families here. One of the roles trustees play is to ensure that through sound policy making, we provide the best learning environment and safe buildings in which students can learn and teachers and staff can teach and support students and staff. Trustees are also charged with the duty of distributing a budget. This money is all our tax dollars at work. Part of good governance also means that we communicate with services/agencies/organizations in the community that encourage, support and engage children in their learning and lives while they are in our school system. The cost to society is enormous when we do not pay heed to our school communities. The seven trustees you elect oversee the management of our school district. Many have only to think about the concerns around the Massey Theatre’s future or how the lack of planning for new schools has impacted not only our students but also the community around where to site the elementary, middle and high school. Our schools are called community schools because they are shared hubs for all community members. Resident Associations were impacted by a decision to charge insurance fees for their meetings, extra-curricular activities and activities for children and adults are impacted by the decisions of our Board of Education. Too often, people do not realize the impact a school board has on its community and they vote only for council and Mayor. It is my hope that the community is awakened to the reality that your seven-member school board does matter to you whether or not you have children, whether or not you have children in the system or whether your children are grown. Your tax dollars pay for public education and our school buildings. You have a right and obligation to ensure that you vote for individuals who you believe will spend our $60 + million dollar budget responsibly and equitably and manage the schools in your community with good governance. James Pepa: Children are our future and we should all be active in their education. David Phelan: Our schools have strong connections to our community. The community uses our schools for a variety of social, community and athletic events. Community support and involvement is strong for many school programs, such as Hyack Football and the spectacular performances put on by NWSS students at Massey Theater. The Neighbourhoods of Learning areas in the new schools will provide a varied number of programs that residents will be able to access. We also have the opportunity to create connections to our environment in our new schools. This can be building relationships between our schools and community gardens, local farmer’s markets and Farm to School Programs. These connections can be used to promote healthy eating patterns in our children. Glen Richmond: Because our students are the future citizens of our community and, as products of their environment, their experiences will affect others in the fullness of time. In an homage to ‘silly season’ shenanigans, we’re co-sponsoring an upcoming New Westminster all-candidates’ event that will feature a comic along with the candidates. We’ve teamed up again with NEXT New West and New Westminster Environmental Partners to co-host Fun & Politics, an non-traditional, informal all-candidates’ mixer aimed at encouraging younger voters to become more engaged in city politics. Last civic election only 24% of voters participated, and this event is our small way of trying to encourage people who have been disengaged with local politics to start getting to know the candidates and the issues in a fun and friendly social event. I don’t know about you, but I find the format of a typical all-candidates “debate” pretty stale. I’ve been to a number of them now for municipal, provincial and federal elections, and they very rarely include any sort of real debate. In an effort to promote civility and fair time for each candidate, most all-candidates’s debates have little or no opportunity for candidates to question each other or even to respond to each other’s statements. As a result, the candidates usually play it safe, sticking to broad statements that most voters can agree with. All-candidates debates are too often boring, inauthentic affairs that reveal little about the candidates or their platforms. This structure is not ideal, but sometimes it’s the only chance for voters to see the candidates in person and make their own assessments. Although I don’t find all-candidates debates very inspiring, I do think it’s important to have events like this that bring politicians face-to-face with voters. Our “Fun & Politics” meet & greet is not a replacement for all-candidates meetings, but we hope it will provide an alternative forum for those who avoid traditional “debates” out of fear of having to endure two hours of bafflegab only to leave knowing little more than they did before about who they should vote for. Fun & Politics is an event that calls it like it is. It is not a debate, and it does not pretend to be. There will be no “knockout blows” and as at the previous version of this event that introduced voters to federal election candidates, the amount of speechifying will be kept to a minimum. Unlike a typical all-candidates’ meeting, the free event will be an unabashedly social occasion in which voters are encouraged to connect one-on-one with mayoral, council and school board candidates to ask their questions. Speeches will be kept to just 1-2 minutes per candidate before they will be turned loose to work the room and speak directly with voters. Held at the new Lafflines Theatre, the event will also feature a stand-up comic. Food, beer and wine will be available for sale. Fun & Politics, co-hosted by NEXT New West, New Westminster Environmental Partners and Tenth to the Fraser, will be Wednesday, November 2 from 5:30-8pm at Lafflines Theatre. The comic will begin around 6pm, followed by candidate introductions and open networking. Because liquor will be served, the event is open to anyone aged 19 or older. Admission is free. Please RSVP by email at nextnw@gmail.com or via the Facebook event.